restoration for up to one year. Telio CS Inlay - For use in deep inlay preparations with parallel walls or to seal implant screw access holes. 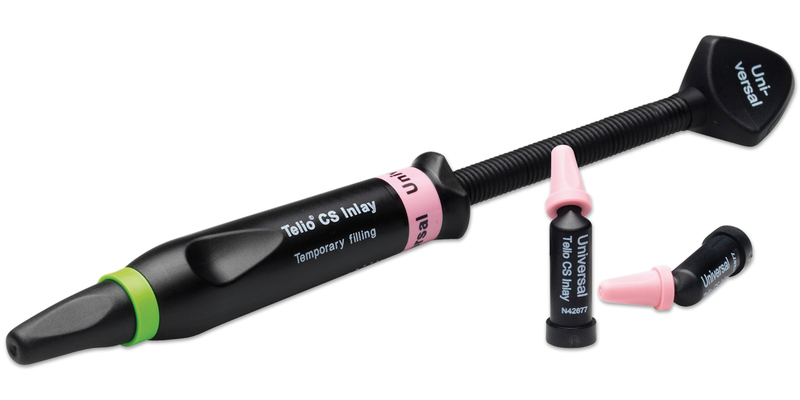 Telio CS Onlay - For use in large, shallow cavities. Less elastic than Telio CS Inlay. Contains: 3 x 2.5g syringes. Contains: 30 x 0.25g Cavifil capsules.